Applications for 3-D printing technology are quickly expanding in surprising new directions. Some of the most fascinating and exciting new uses are developing in the world of healthcare. Because of the commercial potential of such 3-D printing , many companies have entered this new space. Representatives from companies like Organovo, a company that develops human tissue for research and drug testing, have openly said that they are focused on “building human tissues for surgical therapy and transplantation.” Recently, Organovo has decided to add 3D printed skin to its portfolio of printable organ tissues. The company has signed a Research Collaboration Agreement with L’Oreal USA Products, Inc to 3D print skin models for the purpose of testing cosmetics using their NovoGen Bioprinting Platform. But, Organovo can still sell its skin tissues for use in pharmaceutical testing, therapy, and surgical transplants. Other companies are working on developing biologically active skin grafts, vessel grafts, replacement valves, and almost every other structure in the body, that can be replaced. The proliferation of 3-D printers and products had another unexpected benefit: the creation of inexpensive prosthetics – hands, legs, feet. And, a great number of children need them: one in 1,000 infants is born with missing fingers, and others lose fingers and hands to injury. With 3-D printing, each hand takes about 20 hours to print and another two or three hours to assemble. (Designs also can be downloaded from Thingiverse, a website run by MakerBot, a manufacturer of3D printers.) Even assembly tutorials are available on YouTube. Health care providers are beginning to take note. 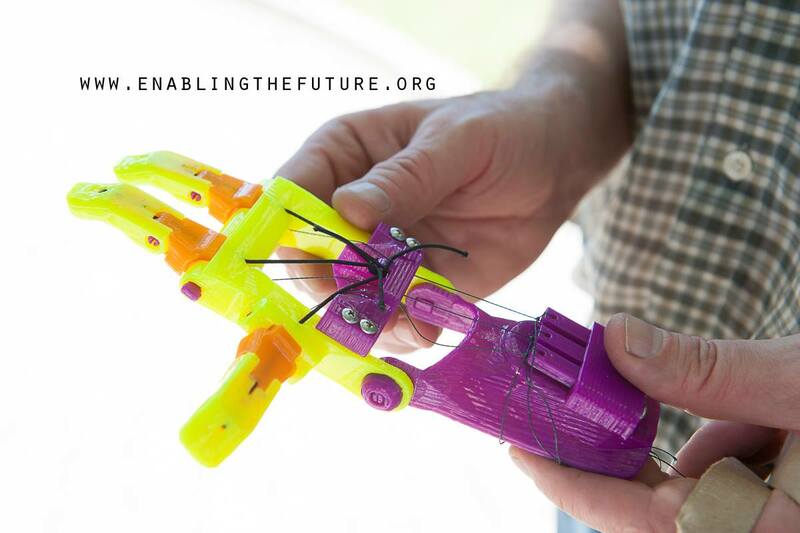 In September, Johns Hopkins Hospital in Maryland and E-nable hosted their first 3-D printing conference involving the medical community, volunteers, recipients and manufacturers. The hospital has purchased a 3-D printer and has begun printing free prosthetic devices for children. But that is not all. 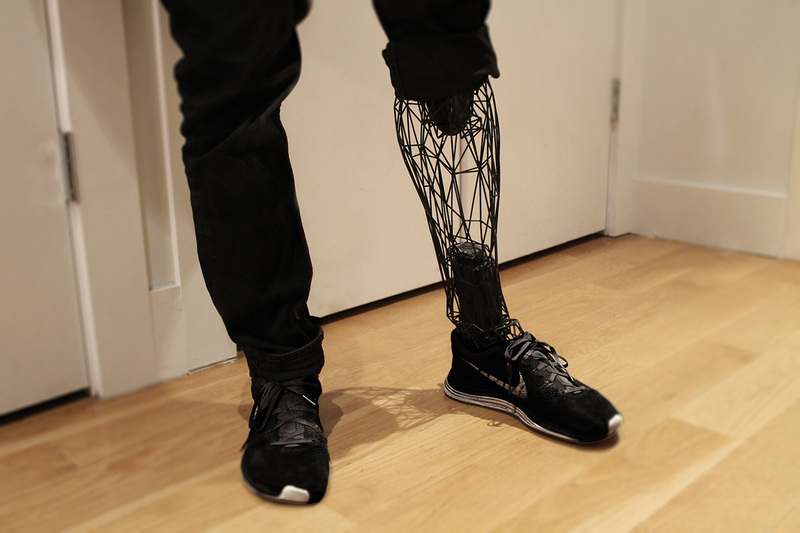 Not only are prosthetics being created inexpensively, they are being designed in new ways also. 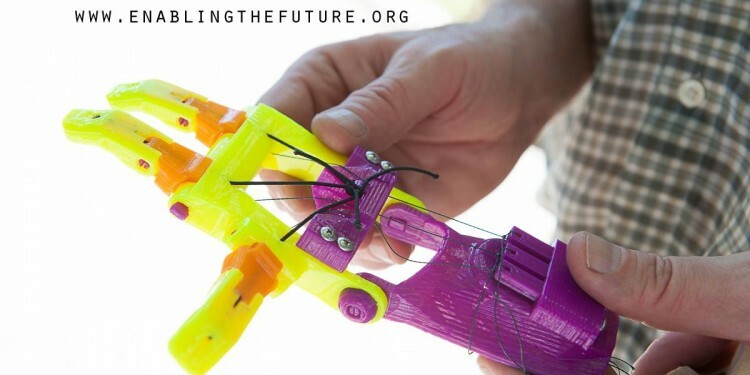 The e-Nable project uses low-cost 3-D printers to create high-power hands. Now William Root, a recent graduate from the Pratt Institute in New York City, has developed a system to 3-D print super-lightweight prosthetic legs with exceptional styling. Called Exo, Root’s prosthetic concept combines his interests in aesthetics and biomechatronics. He also uses amputee preferences in his designs. As he said in a recent interview, “Prostheses are not aesthetically pleasing, extremely expensive, and difficult to produce.” But, using MIT’s FitSocket technology, designers can produce prosthetics that suits a patient’s height, weight, and muscle mass. “Prosthetic limbs are stigmatized because they are so inhuman; most aftermarket companies that try to address this problem attempt to create a realistic-looking leg, which crosses into the uncanny valley. Each leg needs to be as unique as its owner.” He said. He envisions future iterations of Exo where colors or patterns of the mesh could be modified to suit the wearer’s personal sense of style. Thus far, these products are for those who have been born. But for those in utero, 3-D printing is also being considered. The 3-D future lies in the creation of size-appropriate prostheses and/or organs or tissues for fetuses with anomalies (i.e., defective heart valves, cleft lips, etc. ); mapping out gynecological oncologic surgeries, creating and creating perfectly contoured embryo catheters. Truly amazing. The University of Toronto’s PrintAlive Bioprinter 3D skin printer works by placing the patient’s cells along with other biomaterials into a micro-device, which then pushes them out through several channels. Researchers are using an adapted version of ink-jet printing technology to enable on-site “printing” of skin for soldiers with life-threatening burns. In this technology of the possible, skin cells are placed directly into a print cartridge, along with essential materials to support them, and would be printed directly on the soldier’s wound at the site of the wound. Along with treating burn victims, the 3D-printed tissue could be used for testing therapeutic drugs, potentially eliminating the need for arduous and highly regulated animal and human trials. Finally, In the training and evaluation of surgeons, bioprinters, the next iteration of 3-D printing technology, can be used to print 3-D replicas of tumors on which residents can outline surgical approaches and even practice resections. By combining printing media, it is possible to create 3-D structures that have multiple textures and tissue types, which could adequately and reproducibly simulate a surgery. Therefore, 3-D printers may improve the ability to simulate many of the surgical skills that need to be mastered before completing training. “With a customized 3-D printer, they were able to print a protein matrix and living cell types in a pattern similar to what is found in the body. If bioprinted tissues were readily available, experimental drugs could be tested on them to see how the drugs are metabolized and what side effects result. The future visions and products of 3-d technology are only as big as a human imagination, and that, unlike the sky, is limitless.